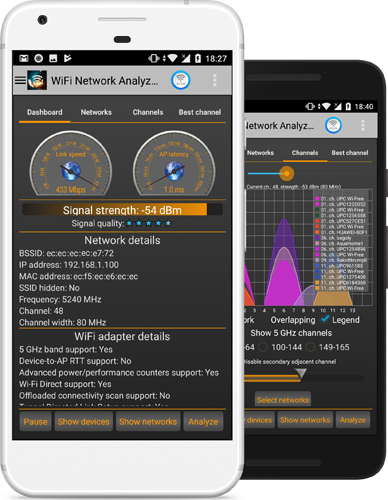 Discover the brilliant features provided by WiFi Analyzer. Our mission is to help you to know everything about your network. Our application will show you almost everything that is possible about your network. What’s more important, we does not only show these information, but guide you how to configure your wireless network to get the best performance. 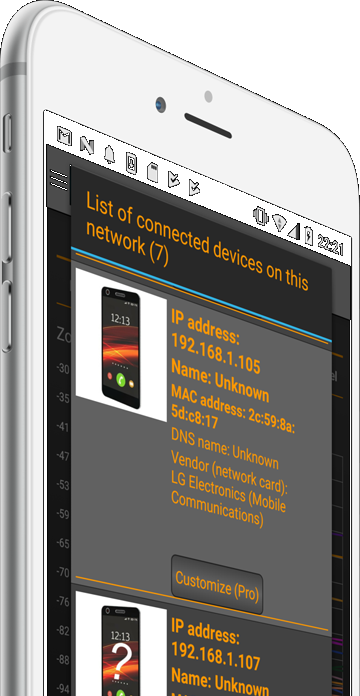 We help you to avoid channel collisions (interference), warn you about possible security risks and list all the connected devices (mobile phones, computers and others) to detect any unknown devices or intruders.